Presumably, these are the very schools on which Angy Andy would like to impose death penalties – or so he has opined in the past. The report identifies 17 districts in particular that are home to failing schools. The point of the report is to assert that the incompetent bureaucrats, high paid administrators and lazy teachers in these schools simply aren’t getting the job done and must be punished/relieved of their duties. 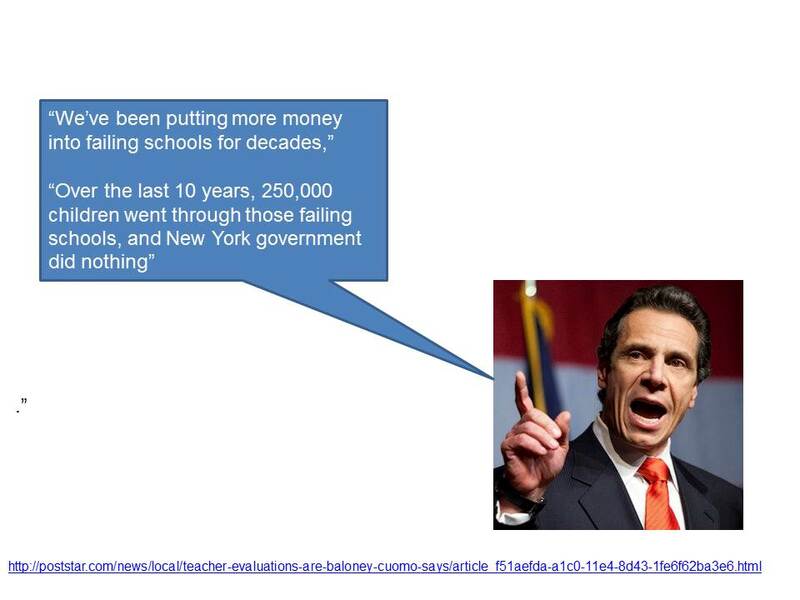 Angry Andy has repeatedly vociferously asserted that he and his less rabid predecessors have poured obscene sums of funding into these districts for decades. Thus – it’s their fault – certainly not his, for why they stink!